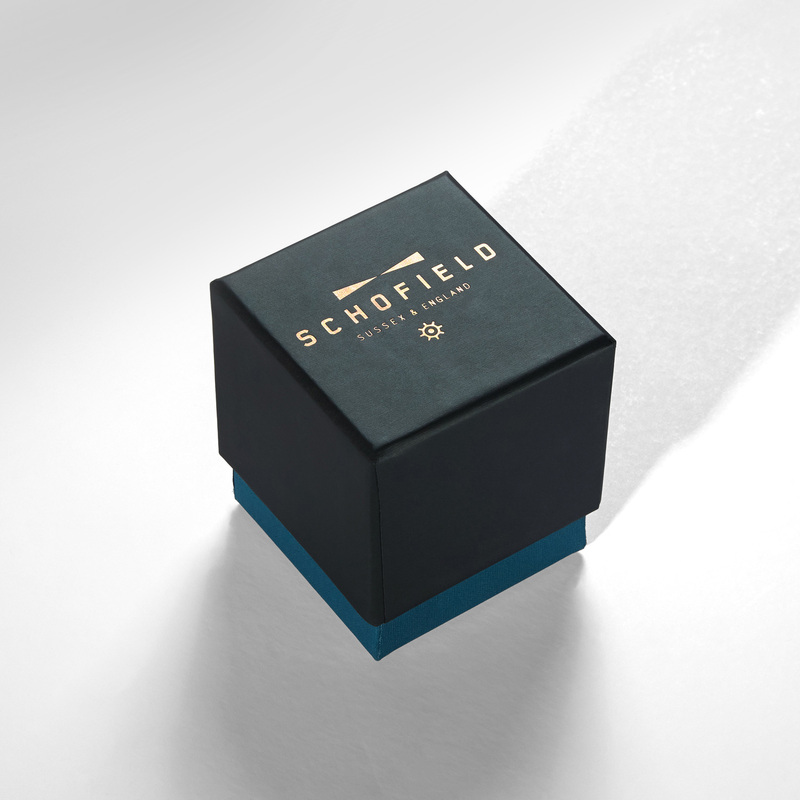 The Schofield Watch Company is led by Giles Ellis, an established and highly regarded maker who operates out of a small village in the West Sussex countryside. In his own words, Giles admits to liking things to be done ‘just right’, so when he chose Progress to produce a run of boxes to house a range of luxury gift items, we were ready to rise to the challenge. 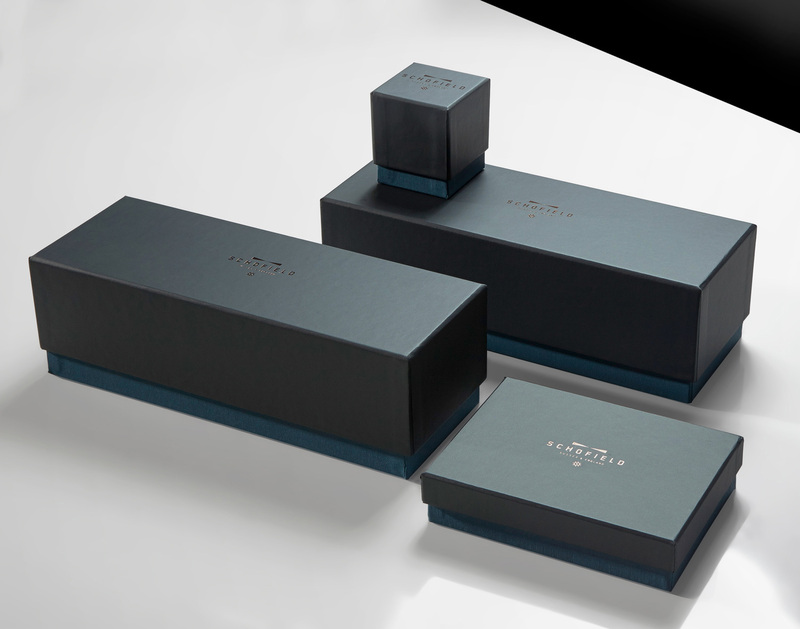 Made in a classic rigid box and lid format, the cover papers used for this packaging were Wicotex Lite 38013 Light Blue for the base and Corvon Shimmer Powder 834 Ice Black for the lids. 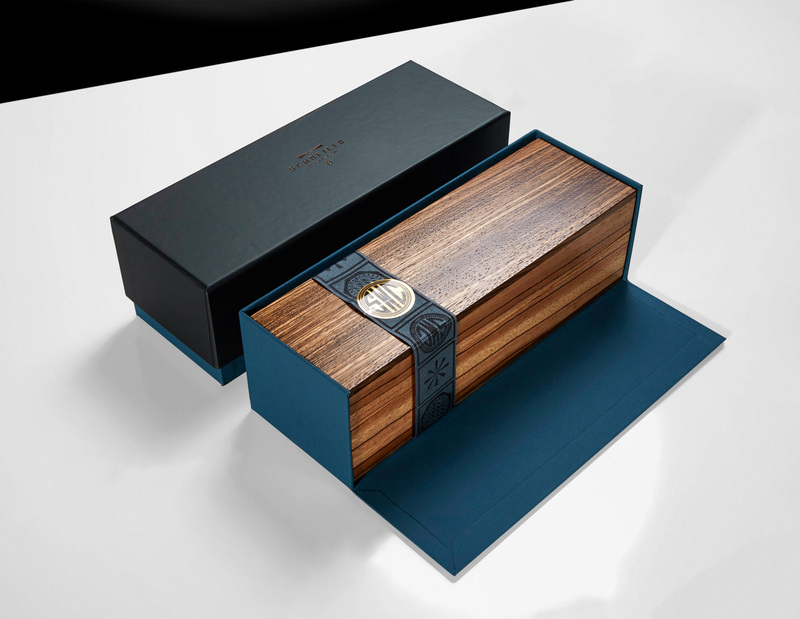 The boxes were bronze foil blocked to compliment the classic look of the papers and produced in a small run of 100 units at our specialist factory in the UK.